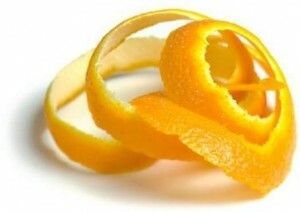 What is Orange Peel Syndrome? It is a condition in which the skin has a dimpled, lumpy appearance. It is also called as Cellulite and Cottage cheese skin. It affects girls, women and some men. And usually affects the buttocks and thighs. It occurs when fat deposits push through the connective tissue beneath the skin. 80 to 90 percent women experience cellulite at some point in their lives. Grade 1 (mild): There are between 1 to 4 superficial depressions and slightly sagging appearance to the skin. Grade 2 (moderate): There are 4 to 9 medium depth depressions and the skin appears moderately draped. Grade 3 (severe): There are 10 or more depressions and the skin is severely draped. The exact cause is not known but it spears to results from an interaction between connective tissue in the dermatological layer that lies below the surface of the skin, and the layer of fat that is just below it. There is the number of techniques that may be successful in reducing the appearance of cellulite by breaking up the bands of connective tissue under the skin’s surface. Acoustic wave therapy: It uses a hand device to transmit sound waves. Laser treatment: It involves inserting a very small laser probe under the skin. Subcision: It involves putting a needle under the skin to break up the connective tissues bands. Vacuum-assisted precise tissue release: It uses a device which has small blades that cut the bands. As it cuts the connective bands, the tissue underneath moves up to fill the space under the skin, removing the appearance of cellulite. Carboxytherapy: It involves inserting carbon dioxide gas under the skin. Endermologie: It involves a deep massage with a vacuum-like device that lifts the skin. Radiotherapy: It reduces cellulite by heating. Laser-assisted liposuction: It removes small amounts of fat but this may make dimpling worse. Ultrasonic liposculpting: It targets and destroys fat.